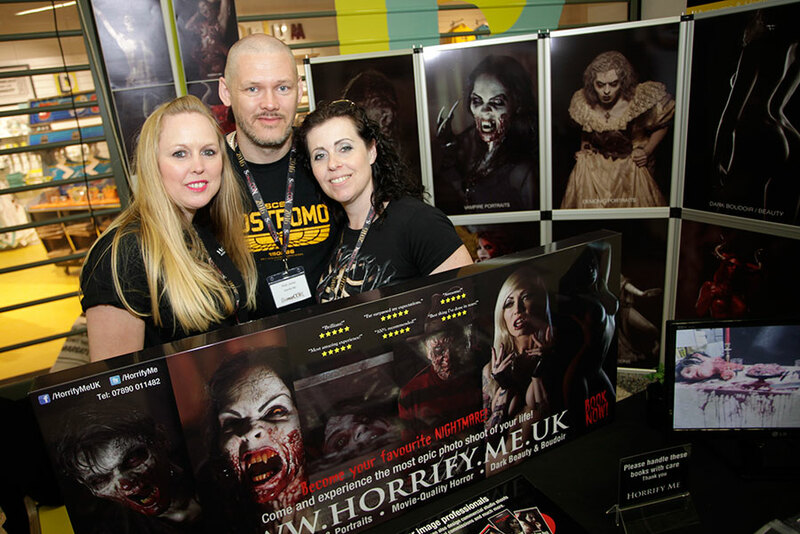 Horrify Me is a Kent-based photographic portrait studio that is as much reviled as it is renowned for creating incredibly gory, life-like horror portraits. People from all walks of life book photoshoots and are transformed into very scary creatures such as zombies, vampires, demons and iconic horror characters. The artist and photographer Rick Jones, who started Horrify Me in 2014, has gained a notorious reputation for creating some of the most original and terrifying portraits you'll ever see. Rick doesn't aim for "Halloween" party makeup standards but real high-end horror film standards in every shoot. Having already won a National Photography Award for creative photography with one of his zombie portraits, and the Alt Fashion Photographer of the Year poll winner, Rick recently won what he considers to be the best award out there for this type of work: The SCAR AWARD. 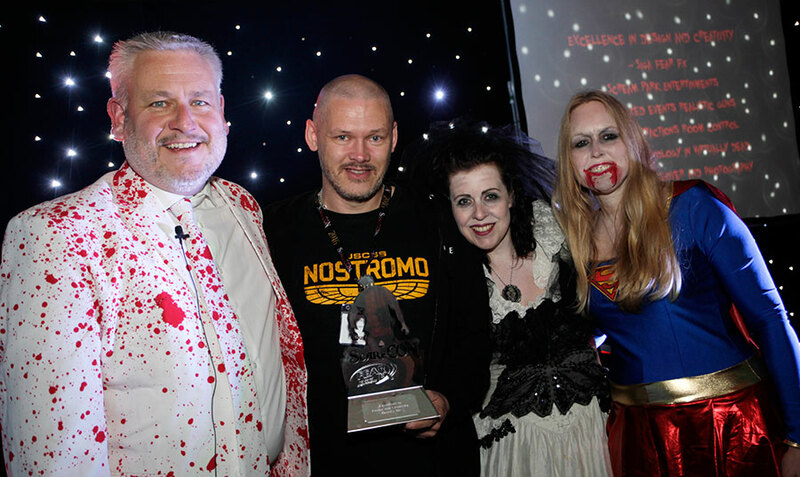 ScareTour is an organisation that reviews horror attractions in the UK and around Europe, and offers the SCAR Award to the best of the best at the annual "ScareCon Europe" scare industry trade show. Horrify Me was the first company to pick up a 2016 SCAR Award in the brand new award category, "Excellence in Design and Creativity". Rick: "This award really means the world to me and to the team. It's always nice to win an award for your work, but when that award comes from your professional peers, the people who work with so much passion in the same creative industry as you, it really hits home. I still can't quite believe Horrify Me won this fantastic award but I'm so pleased that we did." He added: "The award has very sharp edges. I can see what it's called the SCAR award!" The Horrify Me team consists of Rick, who is the twisted mind behind the whole thing, as well as his wife Claire and business manager Kaytie Smith. Anyone can book a shoot at www.horrify.me.uk. ScareCON is the annual scare industry trade show hosted by Michael Bolton (not the pop singer) of ScareTour. Details and reviews can be found at www.scaretouruk.com.